Cleatech is a laboratory solutions company that manufactures standard and custom-made laboratory & clean room equipment, and incorporates innovative technology to serve the scientific community. 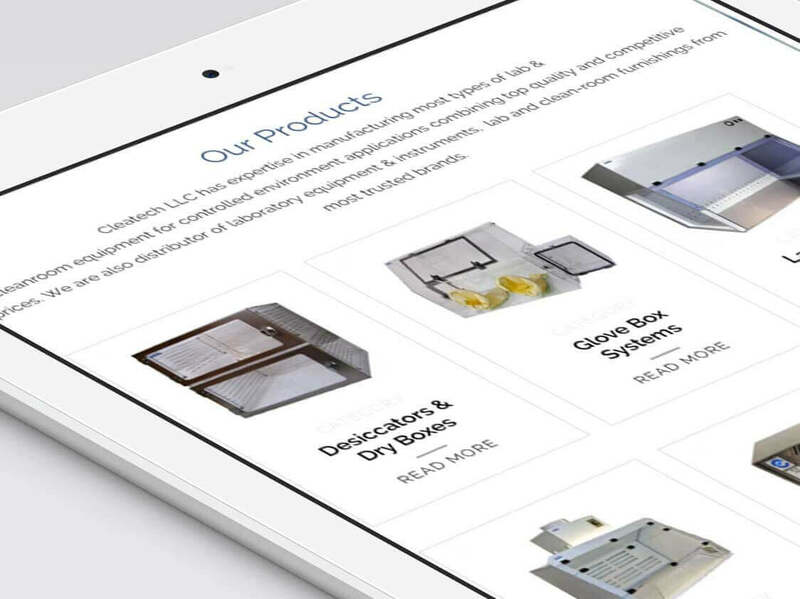 For a leader in the laboratory equipment industry, we wanted this website to exemplify the expertise of their team and the quality of their products. To make the products the main focus, we showcased them directly below the home banner so customers can quickly and easily preview what Cleatech has to offer. We used a simple, clean website layout with dark blue color accents to depict the strength and reliability of the equipment. Large call to action buttons on the left-hand side allow customers to conveniently view more products or request a quote, which helps to increase customer satisfaction.